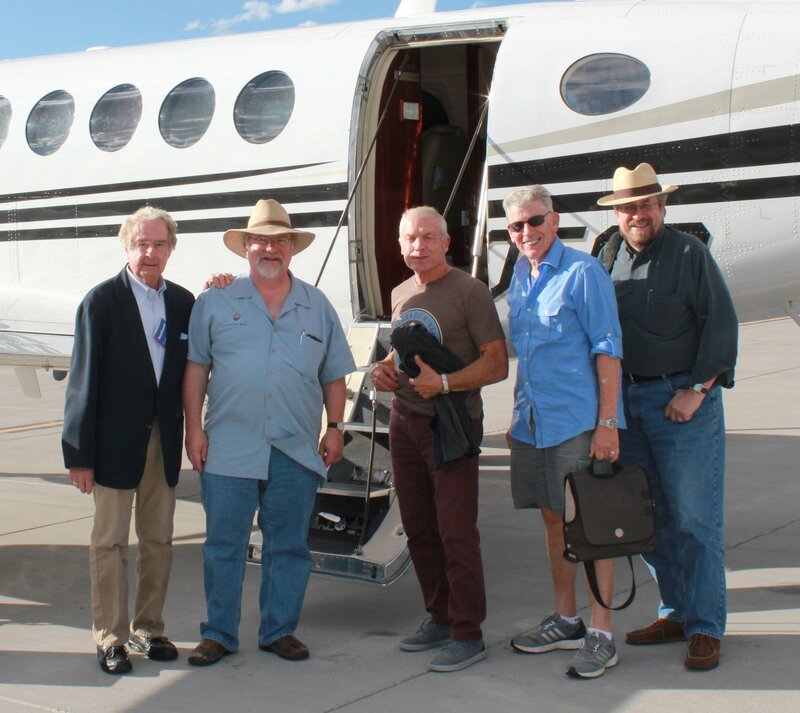 That’s Warren Winiarski of Judgment of Paris fame on the far left, Doug Caskey of the Colorado wine board, Colorado wine writer Dave Buchanan, California wine writer Mike Dunne, and the WC. I don’t know why Doug and I are the only ones with hats. The eight things I learned during my Colorado wine adventure. 1. The wine quality at the Colorado Governor’s Cup was the best I’ve seen since I judged the first one seven years ago. In fact, the improvement in Colorado wine was hard to believe – there were almost no wines that were so awful that drinking them made you fear for the future of regional wine. The best wines, mostly red blends, cabernet sauvignon, and cabernet franc, were elegant, structured, and well made. The improvement in quality is something my friends in Texas should pay close attention to. 2. Warren Winiarski, who made the winning cabernet sauvignon at the Judgment of Paris, spent two days after the competition visiting Colorado vineyards. Watching him with the winemakers and growers taught me that canopy management isn’t as boring as I thought it was, and I learned a lot to bring back to my students. Also, not everyone is happy when someone with more experience and more knowledge and more skill tells you things you don’t want to hear about how you’re growing grapes and making wine. 3. Colorado’s new grocery store wine law – if it survives the upcoming legal challenges – may be the model used to bring grocery store wine law to the rest of the country. It tries to strike a balance between small retailers, the state’s biggest and powerful independents, and the grocery store chains that will eventually dominate the market. 4. Spotting the wine writers in the hotel lobby is easy. We’re the old white guys reading the newspaper while we eat breakfast. 5. Flying on the state plane (that’s the aircraft in the background in the picture above) made me wish I never had to fly commercially again. Ever. 6. So the less said about American Airlines the better. 7. The acceptance of regional wine by those who don’t taste it regularly is wonderful to see.Mike Dunne of Sacramento, one of the most respected wine writers in the country, andAlder Yarrow of Vinography judged the competition and approached the wines with an openness that too many of my colleagues still don’t have. 8. There’s something about being in a vineyard at 6,500 feet that makes you forget about all the aggravation associated with doing this. Or with life, for that matter. Photos courtesy of Kyle Schlachter.